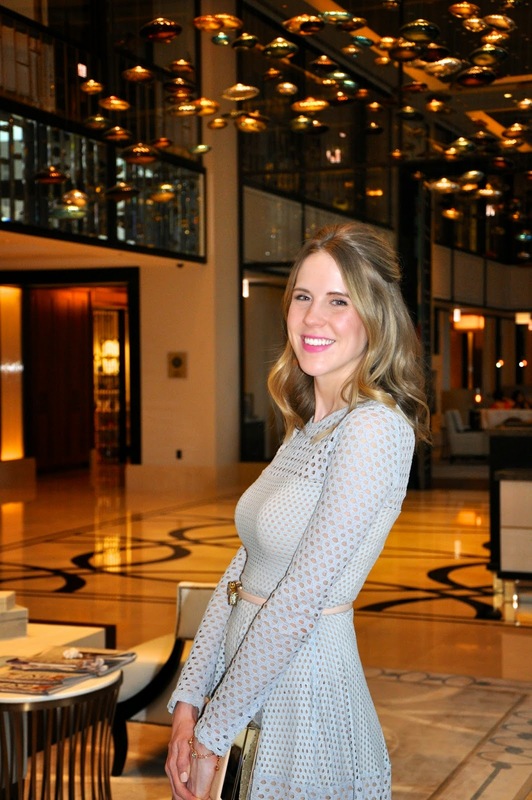 My girlfriends and I had the opportunity to enjoy high tea (and champagne, duh) at the beautiful Pavilion at The Langham this weekend and I loved every second of it. I'm such a sap when it comes to old-fashioned traditions like afternoon tea. I'm enamored by the customs, the etiquette...and basically anything involving the British! I took full advantage of the opportunity and got this girly dress to wear for the occasion. We ended the afternoon by making (somewhat lofty) plans to try out tea at other famous spots in the city like Palm Court at the Drake, The Allis at Soho House, The Lobby at the Peninsula, and Palmer House over the next few months. Next time, fancy hats are in order! Afternoon tea should be mandatory everywhere. Such a nice way to break up the day and feel special. Thanks for sharing. As usual you look the perfect Brit, chic as usual for the occasion!